FULL VIDEO: 2019 FIBA Basketball World Cup host announcement - Balita Boss! The FIBA, International Basketball Federation, announceD the host of the 2019 FIBA Basketball World Cup on Friday, August 7 in a special event in Tokyo, Japan. 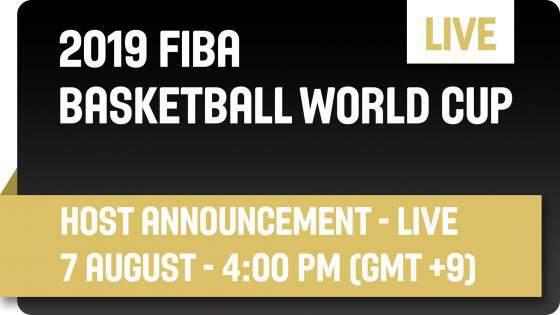 The official 2019 FIBA Basketball World Cup Host Announcement full video could be seen in the official Youtube page of FIBA and could also be accessed via an embedded link below. The event was scheduled to start at 3 p.m. (Manila Time) or 4 p.m. (Tokyo Time). Watch the final bid presentations from both the Philippines and the People's Republic of China followed by the announcement of the 2019 FIBA Basketball World Cup host nation live on the FIBA YouTube channel. In an official report of the FIBA website, the world governing body for basketball named Philippines and China as the two candidates left in the race to host the 2019 FIBA Basketball World Cup last March.